For a couple of weeks now, on and off, and as touched upon in my previous post, I’ve been quietly observing the way that two particular children are playing. Theirs is a forming relationship, with no ‘outcome’ or ‘yes, we’re there’ about it (I don’t know the beginning of it and it almost feels as if there was no beginning: it just happened). What fascinates the most about this forming play and relationship between these two girls is that one of them doesn’t speak English (or, if she speaks a little, it’s rarely heard). In fact, this younger child of around eight or nine, I suppose, barely says anything to us at all. She has, however, almost always been in play with the other girl. One simple observation highlights, I trust, my fascination of the play: I was standing up high, up out of the way of things one day, for a few minutes, when I saw the two girls over by the sandpit. One of them had dragged over the old buggy we have on site, which I’ve been surprised to find gets its fair use in the play. I couldn’t hear what was being said, if anything at all, but the girl who spoke no English clearly had ideas in the narrative of the play she wanted to unfold. By means of pointing and double pointing, gesturing towards the buggy, and other hand and facial gestures, the suggestion seemed to be that one of the children would be the baby, in the buggy, and the other would play a different role. Then they swapped. This needed no words, it seemed. I’ve really wanted to ask the girl who does speak English what’s going on in the play. However, this I know wouldn’t be good because then I’m effectively asking the child to analyse her play (in a low level kind of way). So, I haven’t asked, though I want to know about the way the girls communicate from an insider’s point of view. I speak to the girl who doesn’t speak English, on occasion, as she passes by on the playground and if she looks my way, though the other child, I remember once said, ‘She doesn’t speak English, you know?’ and this is all I know directly from her. I have known adults who have been of the opinion that children can’t possibly interact without a common language. They’ve said it in so many words. This is, of course, theoretically and observationally rubbish. I’m reminded of a time, over twenty years ago now, when I lived and worked in Germany for a short while. I was at a Jugendhaus (Youth House), and whilst I attempted to use my abbreviated German in my interactions in the play, what I found was that, ultimately, I didn’t need this or English. When we connect, we connect, and (following a small digression here) one child showed me that this had happened with the paper offering she’d made me. Such small things are significant, or can be, and can last a long time. Only recently, I was offered a token of gratitude, as I read it, from a child I made time for, she having gone out of her way to make her gift. She didn’t say what the gift was for. A failure to be able to converse in mutual languages yet to connect in other ways, in the significance of my memory, has also taken place in Holland and in Sweden, to name just two other examples (my favourite stories of being on a plane in Amsterdam — where a child cleverly communicated to me without words, and whilst visiting an outside school near Stockholm — where a child gave me an offering for whatever reason she chose). Tokens of gratitude are not what we do the job for, but these things are written here to show that children can communicate in ways we don’t often do in the adult world. Sometimes, the tokens and offerings aren’t made things at all; rather, they’re gestures of connection for communications made or listening having taken place, or they’re thanks in other ways. When children tell you the simple tales of their day-to-days, what positives can you glean from them having chosen to tell you these instead of anyone else? It works in other ways too. I watch on, sometimes, as my colleagues engage in certain on-going conversations with certain children, relating, understanding, or learning to understand them: then, those children choose those adults to tip a bucket of water over, to swear at in exaggerated fashion, or to lie to in such a way because they know that that adult can and will take it, or will accept it, or will intuitively know that what is being said beneath isn’t what is being said. Returning to the child who doesn’t speak English and the child who does and to their play: in the brief moments when they’ve not been in the play together, for whatever reason, I have seen that there’s almost a magnetic pulling of one back to the other. They have sought each other out, and they have found each other on the playground somewhere, before going off poking around the hidey holes of the place again. The bond of play, of other forms of communicating, has become strong for these two children. Today, the child who doesn’t speak English was on the playground but the other girl wasn’t there. I noticed this early on because it felt unusual to see the first child unattached as she was. A little later though, near the gate, I noticed another girl, a little older, was talking with her, in English, and this child looked at me and said (half to me, half speaking out loud in mock exasperation) ‘I don’t know how to say this in Italian!’ I told her I didn’t know either. The girls played though. Later, I saw them inside together sat on the sofa. One of the boys was saying his only Italian word at the girls, in exaggerated fashion, being (as he translated) ‘Cheese! Cheese!’ I hit on the idea of bringing the laptop out and communicating through Google Translate. It took the girl who didn’t speak English a little while to figure out what the other girl was trying to type in, and that she could type back, but eventually it happened. In returning to the main theme of this writing though, the girl who didn’t speak English indicated she wanted the other girl to go outside with her. The English-speaking girl came running in a few minutes later, banging on the office door. ‘I only need one thing,’ she said. ‘Tell me how to say do you want to play?’ I don’t think she even needed this: another pairing had bonded via play. Of course, we see this bonding all the time in various formations of children on the playground: there are small pockets of players who gravitate to one another, and there are larger pockets who disperse and re-form in almost tribal fashion when anything significant is about to happen. The bonding can cross the socio-economic and ethnic parcelling that the adult world seems to like to create so much. There are common denominators of play, but the play and bonding could also be seen in terms of children’s connection in awareness of mischievous intent, in their latent or repressed types of play (or play types engaged in), in their calculated intentions to disrupt, and so on. Positively play is, in short, often beyond words and the need for words. Connections are deep-seated, or become this way, and play is glue (wishing to avoid the instrumental rhetoric of words and phrases such as ‘play is a tool for xyz’): play is glue, or magnetic. How else might children describe their play? Key to thinking this way is observation. In my post of November 16, Ways of seeing: play types speculation from children’s perspectives, I explained the IMEE model of reflection (intuition, memory of own childhood, experience of work with children in adulthood, and evidence of the playwork literature). They’re all relevant, but this week I’ve been considering my recent observations of children at play. How might they describe their play? It should be remembered, and emphasised (for those landing on this page via search engines and looking for the sixteen currently recognised play types according to Bob Hughes) that my speculations aren’t his play types. That is, my thinking is drawn from Hughes’ work, but the speculations below aren’t his work. All being well, let’s move on. My recent observations have led me to thinking on playful behaviours which are, initially, roughly linked with children’s creativity. Of course, I couldn’t just think of such creativity: play has a way of tumbling out of such boxes we put it in. Creativity spilled out into further language play and into linguistic and physical play repetition. This set of speculations isn’t listed alphabetically (as the last set were), because there’s a chain of thinking taking place in my observations. When a child finds a box of shiny paper, card, cardboard tubes, glitter, glue, etc., and if you have the opportunity to ask what they’re doing, you may very well get the answer that they’re ‘making’. It isn’t always specified what they’re making (sometimes the child doesn’t seem to know themselves: not until it all comes together into something that fits whatever they’re thinking as they ‘make’). Adults have a tendency to try to pin down, exactly, whatever is in the process of being made: that is, to label it. ‘Making play’ is, I suggest, all about the ‘product’ (the robot, the alien, the house, etc. ), but it’s a fluid process in ending up at that product. By contrast, ‘sticking play’ is all about the process. A child with access to glue sticks, shiny stickers, things to glue onto other things, etc., will quite often just enjoy the moment of the stickiness. I’ve seen stickiness take place just for the sake of stickiness. Sometimes it might turn into ‘making’, but often it’s just the act of rendering ‘something that was dry’ as sticky, or ‘something not stuck-with’ as now stuck-to, that is the desire of the moment. Where do we go from ‘angry’ (relentless)? Recent observations of children at play have highlighted something that I’ve always known: that that power exertion of angry play has a contrast in the non-power play of just falling around. It’s silly play in child-speak (or whatever word is better in any given other local dialect). From adult perspectives, it’s just as pointless as destructive play (which some would say isn’t play at all, because it’s not ‘productive’). Silly play is futile; yet, it’s a different kind of pointlessness and futility. Silly play has a quality, to the child, that adults often find unable to grasp. I don’t know what the point of silly play is (I’ll have to think more on it! ), but I know it involves a lot of flopping around. Children have some curious expressions. I met a friend’s daughter when she was five, a long time ago. Back then we’d have long conversations, myself and this five year old, in which — invariably — I’d be stopped at some point with some phrase along the lines of: ‘Ah, but in real life . . .’ Real life, in this context, related to the very real context of this five year old’s play life. ‘Real play’, I suggest, is removed from silly play because there is a point to the play (although the child may not be able to articulate exactly what this is, or even want to). Real play covers a multitude of possible actions, but whatever is played, it’s very important that it is played. I found myself thinking about the repetitive play actions of very young children. This is, perhaps, an offshoot of silly play. It is, perhaps, also an offshoot of real play. If the repetition isn’t cycled through, there seems to be a small breakdown in quality for the child (abstract quality in the possibilities of the physical environment, in play objects, in the relationships with other children and other adults, in trust). It might not seem like much, but there’s much more wrapped up in repetitive play than immediately meets the eye. Of course, this form of playing is nothing new to animal behaviourists. I refer, for example, to studies on monkeys at play (chase/flee interactions, which children also undertake). I include it here in my child-word speculations though because this playful behaviour follows on well from silly/real/again play. It’s not the actual game itself I’m referring to (i.e. tag, tig, it, or whatever regional variation of the game you know — they are all, essentially, the same game anyway). In fact, I’m not even writing here about a ‘game with rules’ at all. I’m writing about the verb that is ‘to chase’. Chasing play is in because I’m thinking here about child verbs and not child nouns or adjectives. My list is paused again. To be continued further at a later date. How might children describe their play? There is, quite often, a jumping off point in writing, and in thinking about writing, and the jumping off point for this post is this: what are the words that adults use to describe the play that they see? So, we might use words such as: messy, dangerous, nice, beautiful. Some or all of these come loaded with layers (us adults are built up of layers, like onions, that we’ve absorbed from our own societies, the places where we grew up, the people around us, our genders, our learning or the preferred things we’ve retained, etc). So, ‘messy’ might be loaded with negative or positive, artistically inclined or disrespectful; ‘dangerous’ might be irresponsible or exhilarating; ‘nice’ (my own personal pet hate!) might be loaded with appropriate, adult-friendly, or bland and socially conforming; ‘beautiful’ might be loaded with . . . what? Adults have a particular way of seeing, and we impose this on children — either directly or indirectly. Children might describe some of their play as ‘nice’ because that’s a value-loaded word handed down to them by adults. How might children describe their play in their own words though? Hang on, I need another jumping off point . . . Although we now acknowledge the current existence of sixteen different types of play — there may be more . . .
Communication play, creative play, deep play, dramatic play, exploratory play, fantasy play, imaginative play, locomotor play, mastery play, object play, recapitulative play, role play, rough and tumble play, social play, socio-dramatic play, symbolic play. If you’re interested, you should go look them up: the explanation of each is beyond the scope of this post. Suffice is to say though that the play types taxonomy was ‘produced to enable those who worked with children to call similar playful routines by the same names, to sing from the same hymn sheet, and to be clearer and thus more specific about what they were observing when they watched children playing.’ (Hughes, 2012, p.97). So, this says to me that the play types are adults’ words for what they saw children doing when they played. Yet, how might children describe their own play? I’m going to ignore Hughes’ given reasonings for devising the taxonomy (i.e. that we adults might all be able to describe play in the same way), and indulge in a thought exercise of looking at play from children’s perspectives. How can we possibly know what play ‘looks’ and ‘feels’ like to a child, or how it might be described by a child? We can only really know about the play of our own childhoods. We could ask the child, but then the play that’s happening is no longer the play that was happening. So, I come back to Hughes for the next jumping off point: the idea of ‘problem immersion’. That is, briefly and for these purposes here, imagining things from a child’s perspective: if I imagine descriptive words for play, from a child’s perspective, partly based on my own play experiences, I might come close. My final jumping off point is Hughes’ IMEE method of reflective practice. That is, I shall keep in mind what my Intuition tells me, what my Memories of my own childhood tell me, what my twenty-odd years of Experience of observation of children at play tells me, and what the Evidence of the playwork literature tells me. (i) What are the words that adults use to describe the play that they see? (ii) Hughes’ play types, observed playful routines; adults all ‘singing from the same hymn sheet’. (iii) Problem immersion and imagining descriptive words for play, from a child’s perspective: based here on my own play experiences. (iv) My intuition, my childhood memory of play, my experience of observation of children at play, my reading of the evidence of the playwork literature. Whilst these ‘potentially child described’ play types do, in places, cross over with Hughes’ play types, it’s not my intention to just think of a different word for each of those in his list. There’s also some cross over with what other thinkers and writers have written. This list is also, unlike Hughes’ taxonomy, not meticulously researched; nor is it methodically and scientifically researched with planned-out observation and experimentation (although there is my ongoing xyz years’ of experience). As such, it is very much speculation. Two thoughts immediately strike me here: just as Hughes’ work has been constructively criticised in some quarters for its male perspective (he could also only draw directly from his own childhood), so is the possibility here with mine. Also, as previously noted, ‘dangerous’ is a value-laden adult word. However, this is one of those times, I suggest, when an adult value-laden word can get used by children in different ways. So, ‘dangerous’ is right, just as much as ‘bad’ could mean good, etc. I’ll stop whilst I’m ahead on this one though because the point of a child or teenage language, maybe, is that the adults don’t get it, or that the adults get it hopelessly wrong! I have to concede that I’m an adult now. Not to be confused with Sturrock and Else’s (1998) dysplay, which is another animal altogether. Diss play, perhaps, refers to the gentle, and not so gentle, art of antagonism. It is an art. It is a communication, as is ‘whatever play’, below, but diss play is played harder. It might also be ‘grief play’ or ‘I gonna knife you, bruv play’, etc., depending on what part of the country you’re in. (There is, I know, at least one other reader here who gets that last reference!) Perhaps ‘diss play’ and ‘whatever play’ come under a joint heading: Bugging play, perhaps, or Yeh, right play. Caillois (1958) identified ‘vertigo’, but the child’s word is dizzy: spinning around for no other reason than to be dizzy (you know you did this too! ), rolly-poly, cartwheels, etc. Adults tend to heap such physical play with value-laden words such as ‘play fighting’ and even ‘rough and tumble play’. They’re the ‘good’ type of fighting. However, I’ve often heard children get excited about the ‘fighting’ they were going to do later. ‘Fighting’ is just fighting. There are other words for ‘real fighting’, perhaps. Whilst thinking about ‘chilling’, the other context for this word came to me: chilling as in ‘frightening, scary’. Children, en mass, can scare the life out of some adults! Children can scare themselves, and others too, with their play. Sometimes, a critical mass takes shape: a group of children at play can bounce off each other to such an extent that something almost frightening takes shape; something odd and weird and freaky. I certainly had moments of childhood play where I just ‘went bananas’, ‘freaked out’ because I needed to. It was still a form of play (and I’ve definitely seen it happen in children I’ve worked with — a knowing in their eyes that suggests they’re kind of saying, ‘Go on then, work with this!’) It’s still a form of play, but a freaky utterly discomforting kind for the adult. Perhaps this one needs scrapping before it’s even written because the concept of gender specific play is passed down to children from adults. However, it’s in for now because ‘typical’ girls’ play or boys’ play can be, and is, played by members of both genders. In my childhood, girls didn’t usually play football round my way, though girls now add a whole new dimension to a previously mostly male play experience; also, if I got involved in ‘girls’ play’ (so dolls, or songs, or skipping) when I was a child, though I might still be involved, I still would have known it to be girls’ play. I include this one tentatively, bearing in mind what I wrote about the child or teenage language being something adults are necessarily a step removed from — ‘whatever’ is a word in use that I can only have an educated guess at. However, in this context, I’m thinking: if I were a child now and I wanted to play around with a whole bunch of things at once — including communication, assertion, identity, role, power dynamics, etc. — then saying ‘whatever’ whenever I could irritate someone else would do the trick! Of course, this type of ‘child-described’ play is also subject to local dialect, nuance, level of streetwiseness, etc. (as is, probably, all of these speculations). This list is paused here. It is to be thought on more, to be continued. How do you think children might describe their play? Caillois, R. (1958), Man, play and games. Champaign, IL: University of Illinois Press (2001). Hughes, B. (2012), Evolutionary playwork. Abingdon: Routledge. Sturrock, G. and Else, P. (1998), The playground as therapeutic space: playwork as healing – the Colorado paper. IPA/USA: Triennial National Conference. Recently I took advice from someone far more experienced in working with children and young people with disabilities than myself. I asked her about the thorny issue of how to refer to her client group, en mass. Yes, I realise about the value of the individual, but bear with me here. She told me that she preferred the term ‘disabled children and young people’. The other acceptable ‘organisation-friendly’ phrase, she told me, is ‘children and young people with additional requirements/needs’. So, not ‘special needs’. I have it on good authority. Now, I write this because I’m currently working with a group of disabled adults/adults with additional requirements/needs. I have been thinking of their play. There are those who write on play matters who disregard adult play, preferring to focus solely on the play of children. That is their focus, and I have a commitment to focusing and learning on this area too. However, play runs through us all. Adults play. I’m interested in all forms of it. Here, now, the tone of this posting will unashamedly drift into something a little more . . . esoteric. 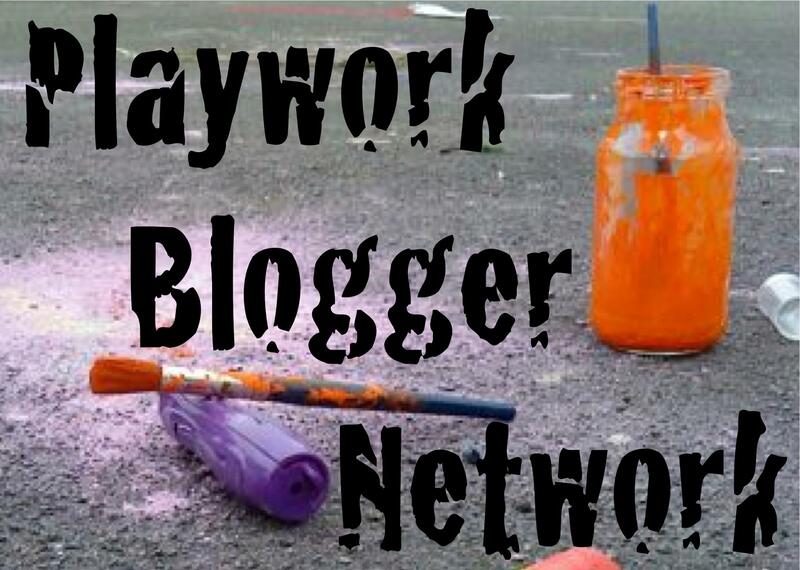 Earlier in the year I presented at the national playwork conference on the subject of amalgamated play types. I had done as much research as I could, I’d thought about the play frames I was observing with children I was working with at that time, I had given it all due consideration. I was lucky enough to talk with Bob Hughes, on the comfy seats of the conference bookshop, tucked away in the corner as we were. We discussed observations and play types, amongst other things. He alluded, again, to wishing he hadn’t written the play types research up. The thing had become a checklist, in certain quarters, he told me. Here’s the main dynamic of my amalgamated play types presentation: don’t look at the singular play types – it’s too boxy; look at the whole. Observe the space, the holistic, this amalgam of children, resources, physical and affective ingredients, the space itself. More than this. See the whole thing, as Bob puts it, in terms of ‘background noise’, as the ‘merging’. I’m working with disabled adults/adults with additional requirements/needs. This is still a little clumsy. I’m working with these adults who play. As I do this, I can only use the skills I have to make sense of the space: I see possibilities of metalude, cues and returns, the holistic whole of amalgamated play types. The pace of play is slower than what I’m used to with children. I fall into lulls: I miss things and I tell myself off for it. An argument winds itself up slowly, and I miss the trigger and even the altercation itself because I’m lulled: I see adults interacting, I see child-like playfulness, but I don’t always marry the two together. I’m fascinated, but I’m a little like the fish who flops on the edge of the shoreline. If analysis is a breaking down of things, and synthesis is a putting back together again, what I do is something of both at once. Yet, I know – in the spirit of holistic, amalgamated, merging, non-checklistedness – that analysis and synthesis are too boxy. However, analysis does show me – if I do confine myself to the ‘sixteen currently recognised play types according to Hughes’ – that these adults are more inclined to social play, communication play, rough and tumble play, with maybe a touch of object play and symbolic play thrown in. I walked this morning, because walking helps me think. So, present tense: I find myself at the river because sitting helps me think more. I sit and watch the way the river flows: the rise and dip, the rise and dip, similar patterns in the rise and dip here and here and here, yet different every time; the spittle on the surface and its flow; the background weeds and reeds drifting and swaying. A moment of epiphany arises: this play, this flow, that runs through us. A friend of mine is a dancer. Many years ago, she taught me about what she called ‘the cosmic wave of the Universe.’ This flow, this cosmic wave, this holistic merging amalgamated rise and dip, rise and dip: this play through us. Where am I going with all of this? I sat at the river and thought about the individual play frames of individual adults I’m working with (the merging of social, communication and rough and tumble, with a touch of object and symbolic play): I thought of any given one of these play frames, a mix, being like a cocktail. I thought of these mixes, over weeks, blurring together. The river of play that runs through all of these adults, in that room, at that time, and in me. Bob writes about proto-play types and perceived complex play types. I have been struggling to fix the proto or complex tag onto the play of the adults I’m working with: these adults with their adults’ needs and desires, and with their playful child-like qualities. I can only view our interactions, each adult with one another, each adult with me, in terms of the river flowing. We’re all a part of this. So, the rough and tumble aspect of the adults of this group is gentle and trusting, exploring and ignoring or testing of social etiquettes, with love and with innocence or with subtle and not-so-subtle lack of naivety, respectful, utterly uninhibited, brash and at arms’ length. The social play is an ignoring and a refining or a redefining of received wisdom on rules of engagement, and it’s a deliberate infusion of edginess with an innocence, with a semblance of worldly-wiseness. The communication play is repetitive and finding out and novel and with affection, without malice, sharp and concise and arbitrary. The object and symbolic play fuses into the rough and tumble, the social, the communication: people as objects for the finding out – a poke and a laugh and a touch and a manipulation of emotion or of the physical self, such as in the invitation to dance. At the river it was all very clear: see the merging, the flow, the cosmic wave, call it what you will. It’s more than just checklisted items, this play: it’s of children, of adults; it’s the nature of things. Words aren’t adequate enough.